It is no secret that drug prices continue to be a problem in the United States. In a previous blog post, we discussed the environment in which skyrocketing drug prices are allowed to take off. It has continued to be an important subject to Americans and the ongoing presidential campaigns. 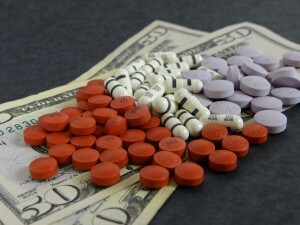 The growing issue of medications costs is punctuated with head-spinning facts such as drugs that are $1,000 per pill in the US costing as little as $4 in India, or the life-expectancy is higher in Costa Rica than the United States despite higher income and amount spent on healthcare by Americans. Some insurance companies are beginning to fight back against pharmaceutical companies pricing by dropping expensive drugs from their covered medications. The strategy to drop expensive drugs from their formularies was established two years ago by Express Scripts, the largest pharmacy benefit manager in the US, when they announced they would no longer pay for 48 brand-name medications. This was a result of many medicines raising over 20% in price over the previous year, so Express Scripts stopped paying for them in 2014 and moved their patients to generics or competing drugs. The result was many pharmaceutical companies dropping the prices of the products, and some being reaccepted into Express Scripts’ formulary. The shock to patients can be nearly as damaging as the high cost of their needed medication. Many patients can spend years trying to find a medication that helps with conditions such as ADD/ADHD or chronic pain with minimal side-effects. This issue is exacerbated by the simple fact that individuals respond to treatments differently; a painkiller may make one person nauseous and help another, or a medication for a mental illness or behavioral disorder may greatly improve the life of one patient whereas another individual with the same condition may struggle even more on identical doses. Many doctors find it highly inappropriate for anyone to change a patient’s medication if the regimen is working, even with the intent of saving patients money. We at NeedyMeds don’t think patients should have to choose between prescriptions or groceries, or between taking a medicine that works for them or being switched to a more affordable drug that affects them negatively. Our website has databases of information, including Patient Assistance Programs (PAPs) that provide prescribed medications at low- or no-cost. The NeedyMeds Drug Discount Card also helps those without insurance (or those who choose not to use their insurance) by saving between 0-80% of their prescription costs, also available as a printable PDF or a smartphone app. A plastic card can be ordered online or requested by calling our toll-free helpline at 1-800-503-6897.